Dr. Cofer grew up in Irving, Texas. 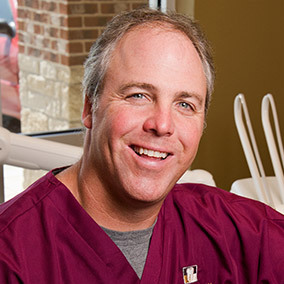 He studied biology at McMurray University before attending Baylor School of Dentistry. Premier Family Dental is Dr. Cofer's second practice, and it officially opened on February 28, 2012. Dr. Cofer has been associated with Texas Advanced Dental Seminars and Seattle Study Club for over five years now. He is married with three children and enjoys motorcycle riding, flying small airplanes, boating with his family, and biking.